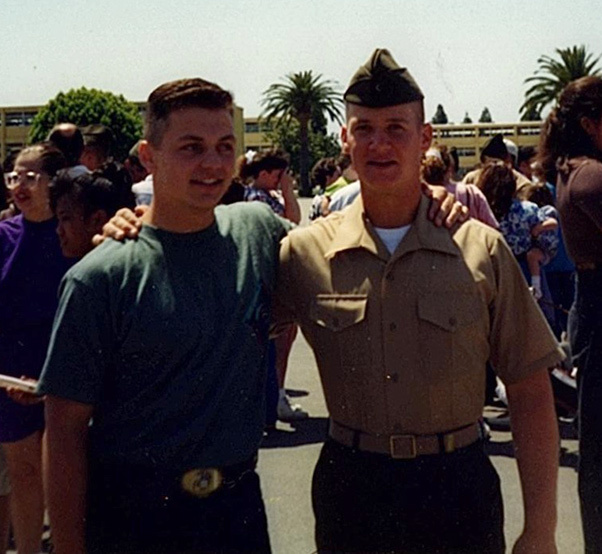 Lt. Col. Paul Kopacz, left, former commanding officer of Marine Medium Tiltrotor Squadron (VMM) 364, and Lt. Col. Stephen Conley, commanding officer for VMM-364, pose for a photo after Conley’s boot camp graduation aboard Marine Corps Recruit Depot San Diego, Calif. Kopacz and Conley have been friends since their sophomore year of high school and now, 26 years later, Conley has taken command of VMM-364 from Kopacz. 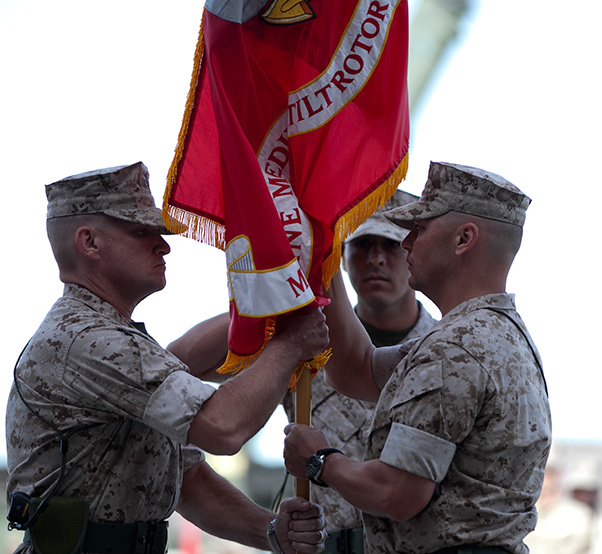 U.S. Marine Corps Lt. Col. Paul Kopacz, commanding officer, Marine Medium Tiltrotor Squadron 364, 3rd Marine Aircraft Wing, right, relinquishes his command by the passing of the colors to U.S. Marine Corps Lt. Col. Stephen Conley, left, during their change of command ceremony on Marine Corps Air Station, Camp Pendleton, Calif., Oct. 7, 2016. 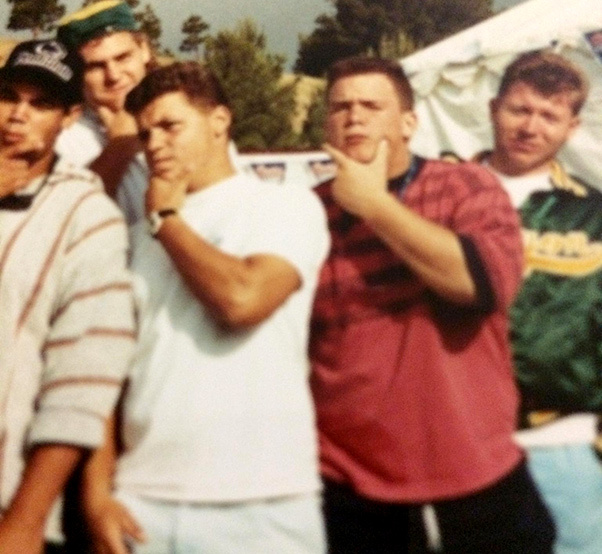 Lt. Col. Paul Kopacz, left, former commanding officer of Marine Medium Tiltrotor Squadron (VMM) 364, and Lt. Col. Stephen Conley, commanding officer for VMM-364, pose for a photo with friends during high school in Canyon Country, Calif. Kopacz and Conley met during their sophomore year of high school and now, 26 years later, Conley has taken command of VMM-364 from Kopacz.